Recruiting contractors has become a popular way to hire: 20% to 30% of the workforce in the US and the EU-15 are independent workers, according to the McKinsey Global Institute, 42% of U.S. executives plan on hiring more of them in the coming years, and some experts are estimating they will make up fully half of it a decade from now. If you are tasked with recruiting contractors, though, it’s important to first understand who they are—with data on where most of them are in their career path, what they want out of their next jobs, and which cities you should consider hiring them from. 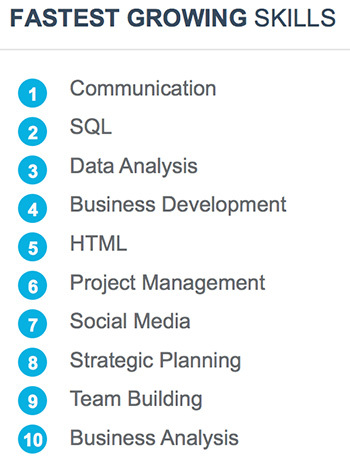 Luckily, LinkedIn has a bunch of data covering these areas. From there, you start to form your strategy on how to target them and recruit them. If you’re recruiting for a company that’s looking to hire more contractors in the US, here are 11 things to consider first. A quarter of them have been in their careers over 16 years. 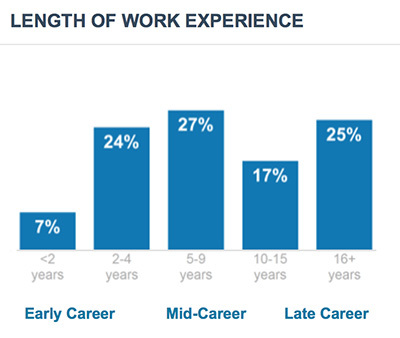 The most common level of experience is the 5-9 year range, with 27% of contractors at that level. 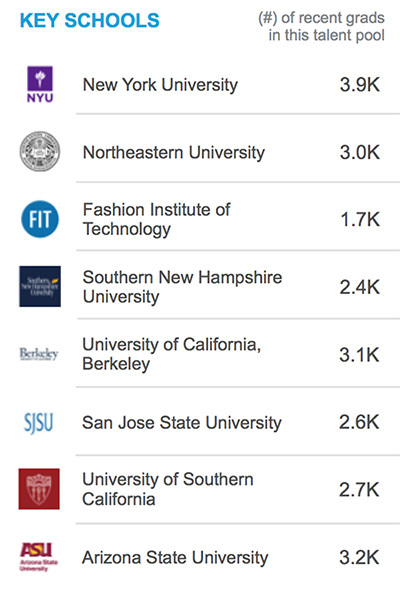 Education and corporate services are also near the top of the list. 70% of contractors who switched jobs in the past year moved to a different industry, according to LinkedIn data. This means that if you’re not having luck with recruiting contractors within your industry, you may have much more success if you look outside it. The healthcare, real estate, and construction industries have gained contractors over the past year, while public safety, retail, and the arts have lost them. Many of their most common skills fall in the area of promotion (social media, marketing), business building (strategic planning, team building), and project management and training. 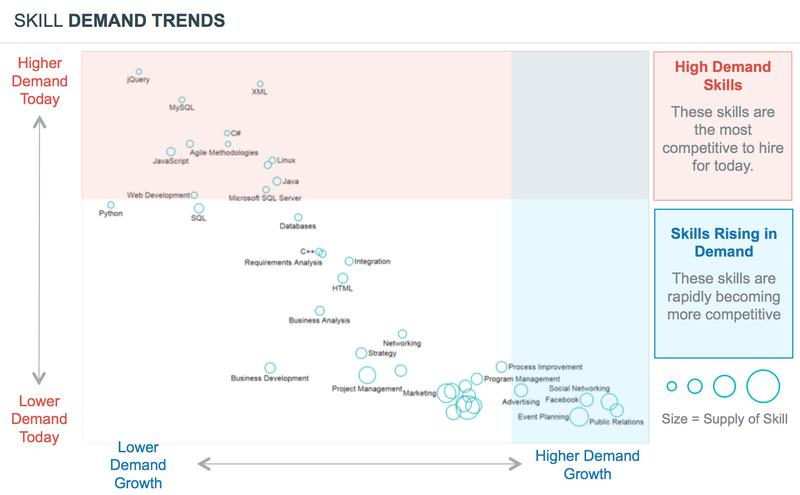 Tech and data skills such as SQL, data analysis, and HTML dominate the top of the list of fastest-growing skills, along with communication and business development. 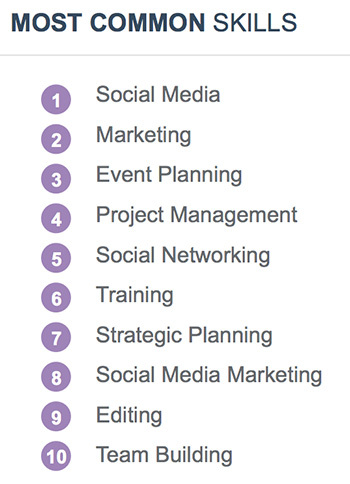 Expect a lot of competition of you’re hiring talent in those areas, along with other technical skills. Demand is also rapidly rising to hire contractors who have experience in social networking, event planning, and public relations, meaning it may become harder to hire workers with those skills in the future. 7. 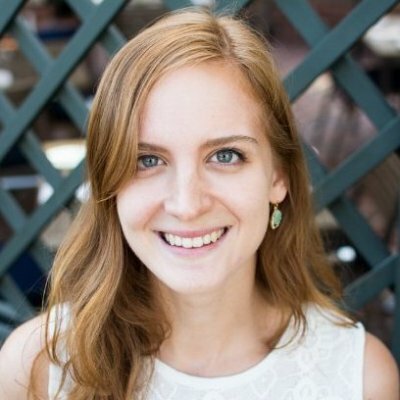 Consider hiring talent in Los Angeles and Washington, D.C. 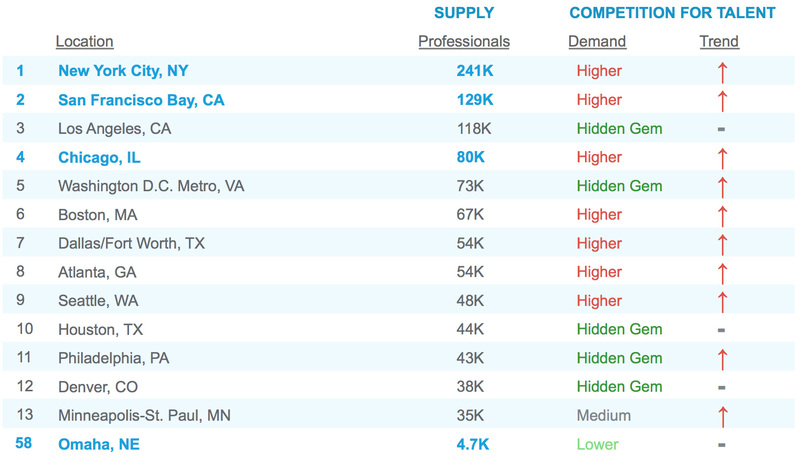 While the biggest supply of talent and highest demand is in New York City and San Francisco, some cities represent a large supply where demand is relatively lower; the top of the that list includes Los Angeles, Washington, D.C., Houston, Philadelphia and Denver. By the way, many contractors are willing to relocate. 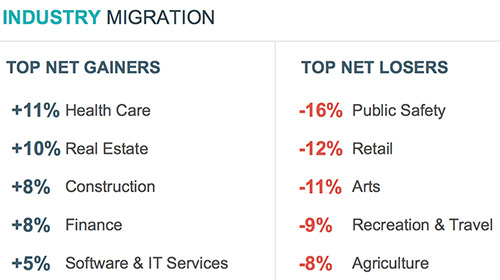 13% of contractors who changed companies over the past year moved to a new region. 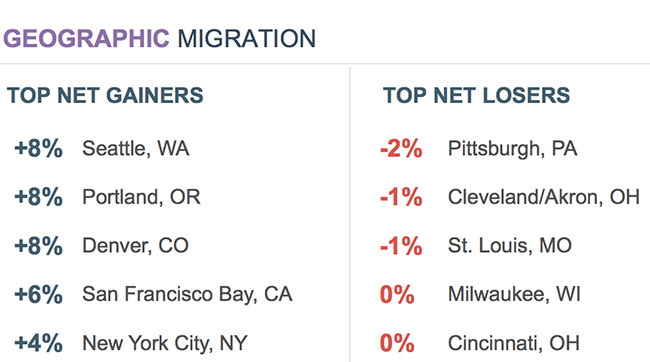 Among US cities, Seattle, Portland and Denver have seen the biggest increase (on a percentage basis) among contractors who switched companies in the past year. 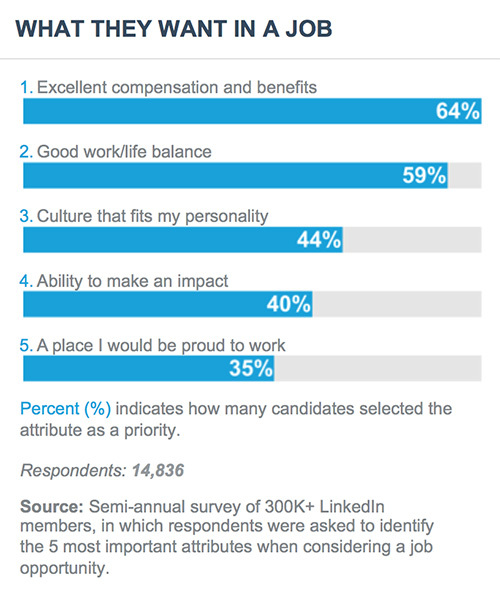 While 64% of contractors say it’s important that a job has “excellent compensation and benefits,” almost an equal number value a good work-life balance—which may be a key selling point as you target them in job descriptions and InMails. Around two-fifths of contractors also say other factors are a priority to them when considering a job: a culture that fits their personality, the ability to make an impact, and working at a place they’d be proud to work. 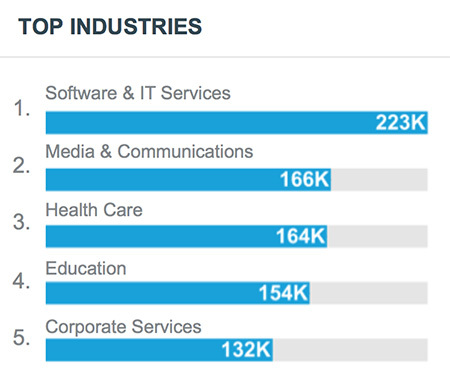 Contractors are more engaged on LinkedIn than the average worker. In fact, they are almost 2 times more likely to view a job on LinkedIn than the average user (and 80% have done so over the past year). They are 1.6 times more likely to respond to InMails and 1.8 times more likely to engage with content. If you’re trying to demonstrate thought leadership, contractors engage most with articles about hiring, social media marketing, employee engagement, self-improvement, and career growth. If you’re looking to hire contractors now or in the future, consider using the above data to tweak your sourcing, interviewing, and closing strategies—something that seems especially important since this is poised to be a growing pool of talent in the coming years. Unless, of course, you’re already looking for talent in Los Angeles, offering an amazing work-life balance, and targeting candidates who have been at their jobs less than a year—in that case, we can all learn from you! Find more information about finding and recruiting contractors on LinkedIn here.